Well, here's a cow for you doing the military salute. 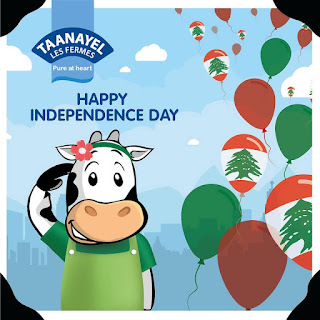 Oh and there is a Lebanese flags on the balloons. I like the framed photo effect but despite the cuteness of the ad and the lovely illustration I am failing to buy it this year.